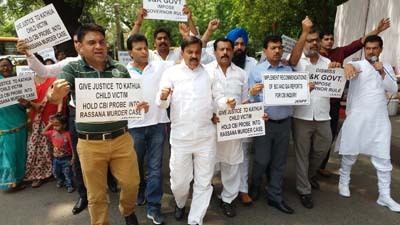 NEW DELHI, May 5: Continuing with its crusade for justice and transfer of Kathua case to CBI, scores of NPP activists led by its chairman Harsh Dev Singh today held a dharna at Jantar Mantar in New Delhi that was followed by a procession leading to Ministry of Home Affairs. 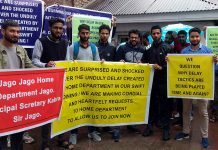 The protesters assembled outside MHA office and held a massive demonstration describing the Crime Branch probe as motivated and influenced by some `state actors’ to suit their nefarious political designs. 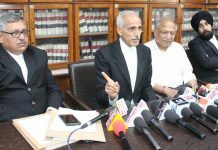 Seeking Central probe into the said case, the protesters submitted a memorandum in the office of Home Ministry calling for early consideration and implementation of the recommendations made by Bar Council of India (BCI) and Group of Intellectuals (GIA) for diffusing the crisis that had engulfed the entire Jammu region. 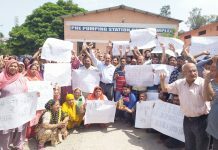 The protesters including dozens of female protesters with Harsh Dev Singh accompanied by Yash Paul Kundal and others staging a day long dharna along with an 8 year old child to draw the attention of the Union Govt towards the gravity of the issue. Addressing media persons, Harsh Dev said that the Panthers Party stood for justice to Kathua victim and exemplary deterrent punishment to the culprits which could be possible only through CBI probe. 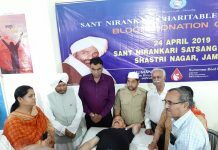 He said that dirty politics was being played in the matter by the ruling alliance by engineering a communal divide in the State to sub-serve their political ends. 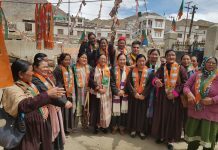 While taking a jibe on the BJP, he said that utterly incongruent statements by these leaders on different occasions to suit their political expediencies had totally unveiled their chameleon character and exposed them in their true colours. 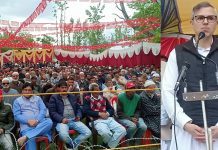 People were well versed with BJP’s politics of double standards an its opportunist leaders whose greed of power knew no bars, no red lines, said Harsh. 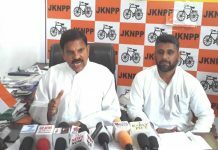 “The fact of the matter was that the Saffron brigade had shown greatest disregard for the public sentiment in Kathua who had given a massive unprecedented mandate during Parliament as well as Assembly elections. 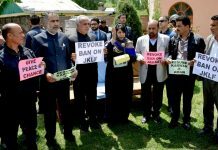 Turning sycophants of Mehbooba and towing the line of the separatists, the BJP Ministers had ruthlessly dented Dogra pride and honour”, anguished Harsh said. 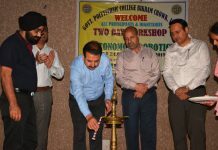 Lauding the BCI and GIA for their honest appraisal of the situation and facts leading to Rassana tragic episode , Singh said that the recommendations of the said agencies having been submitted to MHA deserved early consideration of the authorities concerned.